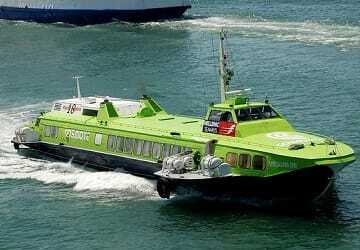 The Piraeus Aegina ferry route connects Athens with Saronic Islands and is currently operated by 4 ferry companies. 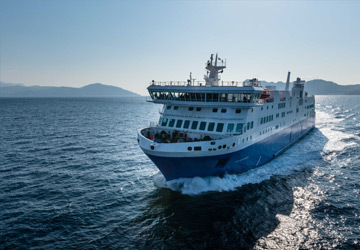 Hellenic Seaways operate their crossing up to 7 times per day, Anes Ferries 3 times per day, Saronic Ferries 8 times per day & the Aegean Flying Dolphins service is available up to 6 times per day. 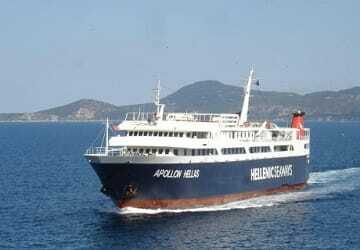 There are a combined 24 sailings available per day on the Piraeus Aegina crossing between Athens and Saronic Islands and with 4 ferry companies on offer it is advisable to compare all to make sure you get the best fare at the time that you want to travel. Prices shown represent the average one way price paid by our customers. 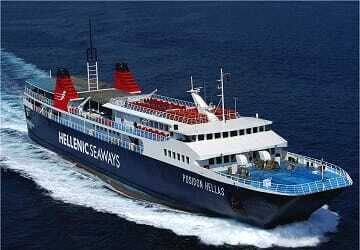 The most common booking on the Piraeus Aegina route is a car and 2 passengers. 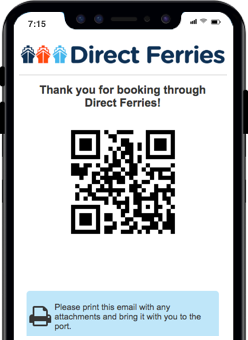 First time with a ferry, it was nice. Easy to book. Everything on time, quick trip. The seating is comfortable enough; plenty of luggage space. Good price. Staff very helpful. There isn't any catering; the boat gets you there and back, that's all. great service, friendly and professional staff. we lost the ferry that we booked, they changed the ticket immediately. The crew polite and kind.